For many senior citizens, Spanish retirement villas provide security, independence, and, in many cases, luxury as well. Seniors can enjoy all the benefits of a typical retirement home, while at the same time, exploring a whole new world full of rich languages, delicious foods, and new experiences. Heres's what should you look for in this type of retirement living. Good climate - This is especially beneficial for those seniors who suffer from various medical conditions, such as arthritis, rheumatism, and emphysema. Community lifestyle - Living in a retirement villa means never having to be alone. The beautiful climate and the feeling of community will encourage a more relaxed way of life. 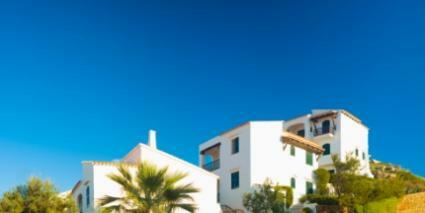 Cost of living - One of the prime motivators for retirees to move to a Spanish villa is the cost of living. Many seniors are able to enjoy a higher standard of living. Excellent medical services - Not only does Spain offer exceptional medical services, but for the majority of those who are of retirement age and receive a pension, services are free. Numerous activities - Whether you are an avid golfer, birdwatcher, or you favor some other pasttime, you may feel as if you've hit the jackpot at a Spanish retirement villa. Check out the following Web sites featuring beautiful retirement homes located in Spain. La Cala - Advertised as a new development in retirement homes, La Cala offers a full range of services, including extensive medical facilities, push button alarms, heated swimming pool, Jacuzzis, gymnasium, golf, special diet restaurants, and tranquil surroundings. It's located just 15 minutes from the beach.